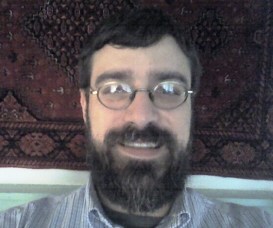 Rabbi Aaron is the ro’eh or pastor of Congregation Mishkan David. Born into a Jewish home and raised Messianic, he has had a depth of experience interacting with the range of Jewish and church denominations. He has been ordained since 1997 and has been active in ministry and intensive study of Judaism and Church history. His ministry experience ranges from prison, hospital, and elder care chaplaincies, congregational leadership, small group facilitation, spiritual direction and mentoring, street ministry to the homeless, and seminar/workshop presentations. Rabbi Aaron’s burning passion is assisting Believers to find, experience, and nurture a passionate, vital, and growing love for Messiah Yeshua (Jesus Christ). This is what Israel was called out of the world to do. Rabbi Aaron believes that a great part of this relationship is modeling and teaching that our lives lived in holiness and righteousness can deeply impact the world around us for Yeshua. Rabbi’s heart’s desire is to be a servant of God that helps make ready the Bride of Messiah to present her to the Bridegroom pure and without spot or blemish. Rabbi Aaron has been married to Kimberly for over 15 years. Rabbi and Kimberly have three sons and a daughter, Elijah David, Gabriel Solomon, Hannah Miryam, and Noah Israel. A Messianic worship leader and ordained rabbi, Kevin, was born and raised in an orthodox Jewish home in Saratoga Springs, NY. His wife, Messianic Dance Leader, Lynn was born and raised in Miami, FL. Kevin and Lynn have 2 sons, Jacob Alexander and Jeremiah David. Kevin and Lynn were radically saved at age 30 and have never looked back. 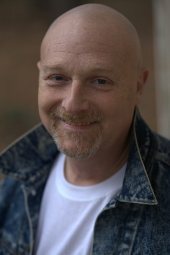 Kevin was a member of the contemporary Messianic group 'Nagila' from 1985 until 2002. Their CD, "Valley of Vision" has been played all over the world and Kevin has ministered at music festivals in Russia and South America, where thousands came to know their Jewish Messiah. He also was the worship leader at Congregation Beth Judah in Ormond Beach, FL. for seven years and at the Orlando Vineyard. He now stands as a watchman on the wall ministering in music at Congregation Mishkan David. 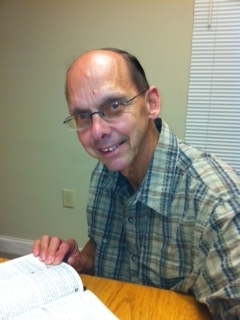 In addition, Kevin has begun work in his new mission of inner healing for those who were abused in their youth. Lynn has an anointing for worshiping the Lord in dance. She teaches Davidic dancing and leads the Messianic dance team at Congregation Mishkan David. Lynn was given a word from the Lord in 1999 that she and Kevin would be teaching His children how to worship Him. They are grateful and honored to be used today as leaders of the music and dance ministries at Messianic congregations and churches in Georgia fulfilling that word of the Lord. An ordained Messianic rabbi, Dan, was born and raised in a Roman Catholic home in Hollywood, FL. He holds a Bachelors in Theology from Beacon University / Christian Life School of Theology. In 2006 and 2007 after two life-threatening health issues, he received a new commission from our Lord Yeshua to teach Under the tutelage of Rabbi Aaron, Dan has embraced the Messianic Jewish traditions and has delivered the Word of God at Mishkan David since its inception. Dan has a great gifting for finding the rich treasures buried in the Holy Scriptures and sharing them with the congregation. Dan was ordained a Messianic Rabbi by Rabbi Aaron on March 22, 2014. For over 30 years, Dan and his wife Dori have been married and thrive in God's service. Dori is a Messianic Believer who was born to Jewish parents in the Bronx, NY. One of her favorite ways to worship the Lord is by sharing with others through hospitality; she exercises her anointing as the hospitality coordinator for Mishkan David. Dan and Dori have two daughters, Danielle and Jenna who have each given their hearts to the Lord and demonstrate the sweet Spirit of God within them. They feel deeply honored and privileged to serve our Lord and our Mispocha at Congregation Mishkan David. An ordained Messianic Rabbi, Mike, was born and raised in a Christian family. He graduated from the 4-year Bible/Missions course at Prairie Bible Institute in Three Hills, Alberta, Canada in 1975, and continues to work towards his “AUG” degree as he whimsically likes to refer to it. (Approved Unto God – 2 Tim 2:15). He was ordained as a Southern Baptist pastor in 1997, was used by God to begin a church in Jasper, GA, and to encourage another church plant near their home in Cleveland, GA.
Mike and his wife Elaine spent 2 years ministering in the Philippines with Action International Ministries at a Discipleship and Vocational Training Center. This was a life-changing experience that forever altered their view of the poor and underprivileged people of our world. While dealing with a life-threatening medical condition that Mike had from birth, they decided to explore many avenues. What the Bible says about Healthy Living by Dr. Rex Russell led them to change their diet, and a study in Essential Oils opened a very unexpected door to healing benefits. That led to a study about organic soils and agricultural laws given by God to Moses. All of these were so beneficial; they decided to look into the Biblical Festivals and Sabbath worship as well. All this has enriched their personal walk with Messiah Yeshua. Elaine also graduated from Prairie and has a Bachelor’s degree in Religious Education. She has ministered along side Mike, offering support mainly in administration. Over the past 15 years, it has been her delight to work with Crown Financial Ministries in Gainesville, GA. Her passion is to help people manage their money biblically. After studying with Rabbi Aaron for seven years, Mike was ordained as a Messianic rabbi on May 5th, 2018. Mike brings to Mishkan David an insatiable love for the Word of God, and desire to teach the deeper truths of the Kingdom of Messiah. Mike and Elaine have 3 married children and 6 grandchildren. They are blessed to serve our Lord and our Mispocha at Congregation Mishkan David.